Russia has returned to Ukraine previously paid court expenses, a government source has told Interfax-Ukraine. The source did not specify the amount of funds, while it noted that the entire amount payable was received. As reported, Ukraine in December 2015 defaulted on eurobonds bought by Russia in December 2013 for the money of the National Wealth Fund (the issue itself worth $3 billion and $75 million in the last coupon payment). 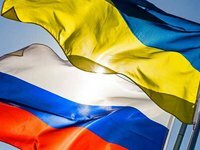 Kyiv offered Moscow debt restructuring under the terms common for commercial creditors, while Russia refused to discuss this option, insisting on the sovereign nature of the debt. The debt was due to be repaid before January 1, 2016. However, in December 2015 Ukraine imposed a moratorium on servicing this debt and by January 1, 2016 failed to pay a total of $3.075 billion for the repayment and servicing of eurobonds owned by Russia.